The much anticipated Supreme Court ruling of the Health Care Reform's (PPACA) individual mandate has come, and it was deemed to be constitutional. Now those who are opposed to PPACA will now to wait for the November elections and then also possibly until 2013 when the new Congress takes office. Many people and businesses feel like they have no control over what is happening with health care reform as their costs continue to increase. One of the problems with the new health care reform law is that it does nothing to reduce the actual cost that is spent in the United States on health care. Until we can get control of the $2.6 trillion that is spent on health care every year it does not matter who pays the bill, it will eventually bankrupt whoever the payer is. Whether it is the government, the insurance companies, business owners or people who pay out-of-pockets for health care, we need to reduce how much we spend on health care. We now spend 87.5 percent of all healthcare costs to treat preventable conditions. Studies have shown that more than 65 percent of Americans are overweight or obese, which causes high blood pressure, heart disease, diabetes, and many other conditions. From 1978 to 2000, the number of obese Americans has doubled, accounting for 62 percent of the rise in health care spending. Only 33 percent of adults exercise three or more times a week. Over 25 percent of adults have high blood pressure and 50 percent of us have elevated cholesterol readings. There are still 25 percent of Americans who smoke, adding $157 billion in health care spending. We need to get our health under control. Business owners now have employee health care costs as their third largest business expense, which is adding to the profitability and sustainability of American companies. If 86 percent of all full-time employees in the United States have chronic health conditions, these health conditions add to the rise in their employer's health insurance premiums. To deal with the increased costs of health insurance premiums, business owners have either increased the employee's share of the premiums or decreased employee benefits. Both of these options have put an additional strain on employee's pocketbooks with no incentive for changing how they improve their health or use their healthcare benefits. There is a third option that many companies are now starting to use; it is an accountability based wellness program. An accountability based wellness program provides incentives to those employees who actively take part in a wellness program to improve their overall health, one that holds all employees accountable. Employers need to hold their employees accountable to the costs associated with their health related behaviors. 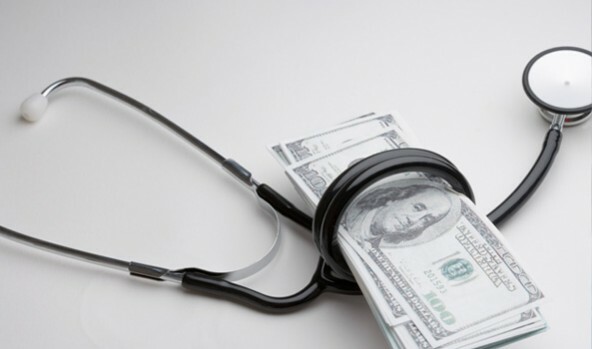 Employers can no longer continue to pay for health benefits with no strings attached. They can ask employees to either work at getting healthier, or else pay a larger contribution to their monthly health insurance premium.In an accountability-based wellness program, those who participate pay a reduced employee contribution towards their health insurance premium. An example would be that an employee who participates would pay 20 percent of their health insurance premium while those that don't participant would pay 30 percent of their premium. The increase for those that don't participate goes to the employer to pay for the program. A comprehensive wellness program should include a health assessment which includes biometric testing and complete measurements which are used to determine what the current health status of each participant is, along with answering a series of health related questions. Most Americans have no idea what their current health status is, or that they might have health risks that need to be addressed. Participants in an accountability based program that are identified to have health risks during their initial assessment, such as high blood pressure or obesity for example, have to work with a health coach and make lifestyle changes if they want to continue to pay the lower premium. No one is required to be free of health risks; they only have to try to reduce those risks by working with a health coach to establish a healthier lifestyle. According to a new study, accountability-based wellness programs can actually reduce health costs for the majority of a company's employees, healthy and unhealthy alike, and result in a four-to one return on a company's investment in them. The reward offered cannot exceed 20 percent of the total premium (30 percent in 2014). The program must promote health or prevent disease. Companies must offer the program to employees at least once per year. The reward must be available to all similarly situated individuals. Companies must disclose the option of a reasonable alternative health standard for employees. What does a "reasonable alternative health standard" mean? According to the U.S. Department of Labor, this means that the wellness program must provide reasonable alternative standards to those for whom it is unreasonably difficult or medically inadvisable to attempt to satisfy the general health standard because of their medical condition. In other words, you cannot ask a severe asthmatic or a disabled person to go to the gym to lose weight - which is only fair.If employers really want real healthcare reform, and are to take control of their health care spending, they can no longer do the same thing they have always done before. It is now time for companies to hold their employees accountable in changing their lifestyles and improve their health before it is too late.